The car park of Treviso, is only 5 minutes from the airport Antonio Canova. It offers indoor and outdoor parking spaces, with a quality/price ratio that takes into consideration even the most cost oriented type of customers. 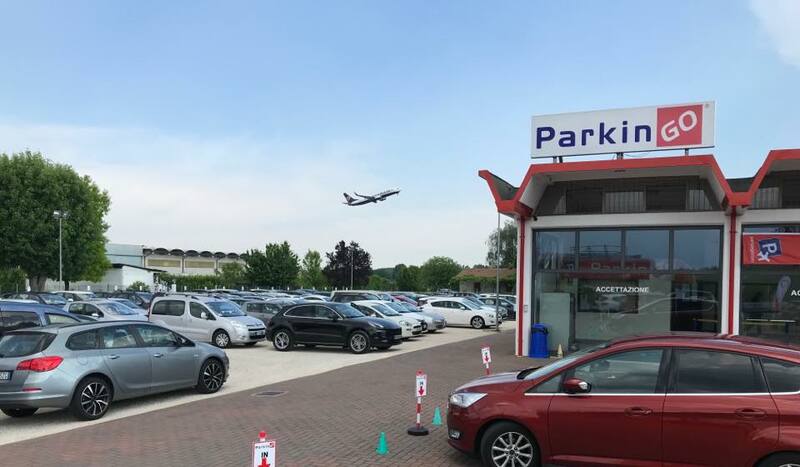 If you are looking for a car park at Treviso airport, whether you are planning a low cost weekend getaway, a business trip or a holiday, ParkinGO Treviso is the ideal solution for you. As well as parking spaces, ParkinGO offers a wide range of services at very competitive prices, like car wash or Car Valet. Are you leaving from Venice or arriving to Venice? No problem, we understand your needs, even if you don't leave or land at the same airport, thanks to the transfer service between airports (available on request at a cost of 70€ per trip). At the ParkinGO car park at Treviso airport you will also find the quality and friendliness that is typical for the ParkinGO network. The Treviso Sant' Angelo airport car park pays maximum attention to security: by using the latest generation video surveillance systems and 24-hour security staff. Among the many services, ParkinGO Treviso is also a certified location of GetMyCar, the first car rental service and car sharing among private individuals where you can borrow someone's car or share your own. Booking your parking space at the car park of Venice-Treviso Sant' Angelo airport is quick and easy, just fill in the grey square below and click on "Proceed". Alternatively, you can call us at the Reservation Centre +39.02.79.79 from Monday to Saturday from 8 AM to 8 PM and on Sundays from 8 AM to 6 PM. Remember to indicate the date and time of your arrival/departure, your choice of indoor or outdoor parking and any extra services such as car valet, car wash etc. You will receive a confirmation email with directions how to the ParkinGO Treviso car park. vehicle surveillance 24 hours a day. Follow Via Noalese for 3.6 km until you pass the airport and pass two roundabouts. Leave the Tangenziale/Via Adige exiting at the South exit towards Padova-Feltre-Conegliamo.